Last Sunday, my husband and kids planned on watching Toy Story 3 in 3D over at IMAX. However, our plans changed at the last minute and we ended up taking the kids to Active Fun instead and just doing the groceries while the kids were in the playground. I really wanted to see this movie in 3D, as I had watched the first two parts of the movie. Plus, after I watched Shrek in 3D, I was looking forward to seeing this one in 3D too. But since my youngest kid had a cough and wasn't feeling well, after we ate brunch we just headed on to the playground as she requested. 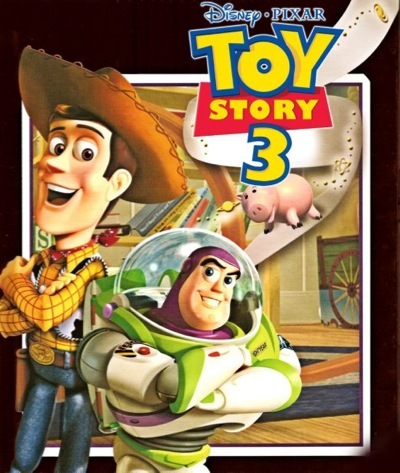 Maybe next week, we can watch Toy Story in 3D. I did read the synopsis of the movie online and that made me want to watch the movie even more. Hopefully, when we go grocery shopping for the food I'll be cooking for my youngest daughter's birthday, we can take a few hours off to watch it. A Review of Shrek Forever and After - Ugh.